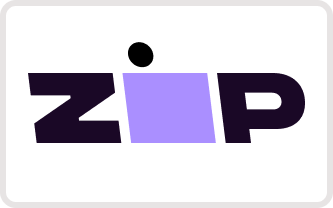 ZipPay Available. Own It Now. Pay Later. Welcome to Smart Wigs ! • Try DeMert care products for synthetic hair to help extend the life and maintain the quality of your wig. • The Wig Brush helps keep your hair detangled and frizz free. It is made to prevent shedding and split ends. • The Wig Stand is the perfect place to keep your wig when you’re not wearing it. • The Wig Cap can help keep the wig in place and prevent it from shifting. Unfortunately, we don't offer refunds due to health regulations except they have a manufacture fault. SATISFACTION GUARANTEED! If you are not fully satisfied, you may exchange your purchase within 7 days for free. If you do not see anything else that you desire you will be issued store credit. Exchanges may be made only if your product is eligible (Please see list below). ·The item must be returned in the original packaging with everything included. ·No cutting or any other chemical treatments. ·No shampooing or conditioning, curl and/or straightening, application of products including gel, creams, hairsprays etc. All items will be inspected by our expert return/exchange department. We reserve the right to refuse the exchange of any items that have been worn, damaged, or had the tags removed. Please note that the customer is responsible for the returning postage. Almost items are dispatched within 48 hours, however delivery times depend on the type of delivery selected. All items will only be delivered during normal business hours (9am-5pm) on weekdays. Delivery is not available on weekends, public holidays or after business hours. Customers will be able to trace the delivery online with a unique tracking number which will be emailed to you once we dispatch your order.